Telstra VS Vodafone - Which is one best? 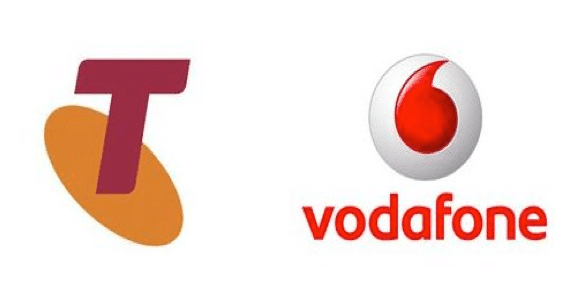 Telstra VS Vodafone – Which is one best? If you’re considering Telstra or Vodafone as your network provider, chances are you’re trying to save money but you’re worried about network quality. Here’s a quick summary of how you can work through the problem. There are a lot more details on each of these points, in the article below. Vodafone have suffered network problems. However, their performance has materially improved over the last 2 years. Vodafone’s coverage is strongest in metro ( city areas ) and, through smaller phone company network resellers, offer great value, especially on 3G plans. Make sure you consider Optus resellers alongside Vodafone’s pricing for SIM Only deals. In most cases, you will get a better network and more data ( at the same price ) with an Optus reseller than with Vodafone. Telstra have the best network in Australia, as everyone knows. However, they charge a great deal of money to use it. We have suggestions below on alternatives you might like to consider which offer a better blend of value / coverage. One key measure of the relative performance of the companies is the number of serious complaints made against them as a proportion of their customer base. Vodafone’s complaints changed from 4.1 per 10,000 in October ’15 to 6.2 per 10,000 in October 16 . Complaints about Telstra to the TIO also changed from 5.5 per 10,000 in October ’15 to 6.0 per 10,000 in October ’16 . These are not your only options for access to the Telstra and Vodafone networks : It’s possible to get access to ( a large part of ) Telstra’s 4G network through Boost Mobile. Lebara Mobile offer access to the Vodafone Network. Check these alternatives if you want Optus 4G access : OVO Mobile, Amaysim and Bendigo Mobile all offer access to the Optus 4G network. We provide guidance on how to get either a 3G or 4G phone deal on either network, below. Core network coverage has improved everywhere they offer it. Vodafone conducted a 3G Plus upgrade in 2012. That meant better indoor coverage for Vodafone customers. In fact, customer satisfaction for people who have joined Vodafone since 2012 is far more positive than those who were with Vodafone in the bad times and rivals the best of the other phone companies. Vodafone’s 3G coverage now extends to 0.5 square Kms and covers 0.5 million square Kilometers of Australia. Vodafone’s stated position is that they want to own customers with bigger data requirements. Recent price / value adjustments moved their pricing to be more in line with Optus’. As a result, we think you can probably do slightly better than Vodafone for value. Vodafone’s 4G or LTE network quality is great where it exists. Unfortunately, Vodafone’s 4G coverage is not nearly as broad as Telstras : Vodafone claim 96% of metro area and has 2.0 customers on it. Studies confirm the improvements in performance of their network. Vodafone is only a short way behind Telstra on network performance. In city areas, some research suggests Vodafone has the fastest 3G and 4G speeds. Vodafone also offer data sharing on their plan range now. We have covered these developments thoroughly in our Family Plan article. They offer The Vodafone Network Guarantee. New customers can’t go wrong. If they choose Vodafone and it doesn’t work out, they can take it back. More details below. Their customer service is getting better. They’re moving their call center back to Tazmania. Vodafone employs hundreds of Australians in that state dedicated to providing Australian support on their Red Plans. Vodafone have credibly taken steps towards improving both their real and perceived performance. Their attempt to position themselves alongside Optus, however, is probably not realistic. This is especially true, given the fact that, using an Optus reseller, those comparing plans can easily get a deal on the Optus 4G network for the same price Vodafone are charging. Telstra’s network is the broadest in Australia. It covers a total of 2.4 square miles. That’s more than 3 times the size of Vodafone’s national coverage. A summary of the costs is below. If you live anywhere apart from the bush, you would be insane to take Telstra’s $80 or above plans. I explain why in the article. We do also have recommendations on where you can get access to the Telstra network at a fraction of the cost that Telstra themselves would charge. Telstra provide a couple of innovative price plan features. Telstra will not charge you for the first month of data up to 25 GB so you can download your apps, get set up and play with your new phone toy to your heart’s content without worrying about excess phone bill charges. Telstra does offer data sharing on it’s plans although it costs a somewhat prohibitive $10 per device per month. In true Australian style, it was over a beer or a BBQ that Vodafone’s name became synonymous with under performance. ‘Vodafail’ arrived as a phrase to embody the frustration. A website was started to carry the Vodafail message. Some people even came up with a mildly amusing and annoyingly memorable song. Having worked at Vodafone when the horror started, I even wrote about the reasons for the shocking network performance myself on Business Insider. In essence, the launch of the iPhone in 2007 led to two overlapping problems. First, the number of people using iPhones started rising very quickly in a way which had not been forecast. Second, the amount of data that each person with an iPhone was using started rising in a way which was not forecast. Together, those two overlapping, exponential growth curves, crashed the Vodafone Network. Bill Morrow, CEO of Vodafone has since publicly released the same explanation for the problems. Even the casual observer, however, will note that almost all of the negative information is old news or relating to old news. The iPhone launched in 2007. The Network problems started in 2008. The Vodafail website was launched a long time ago. Even the song is more than 2 years old. Even the class action lawsuit which is being initiated against Vodafone at the moment harks back to the bad old days of 2 or 3 years ago. This is at odds with the important questions for those in the Australian market, comparing Telstra or Vodafone now : How is the Vodafone network performing at the moment ? On that question, even the Telstra Chief Financial Officer is complimentary about what Vodafone is up to. Vodafone have very publicly upgraded their network in sensible ways. They are focusing on major cities and starting with the basics. They totally revamped their 3G network with 3G plus. 3G Plus is the use of lower network frequencies to improve in building coverage. Vodafone completed that 3G Plus work and only when it was done and properly tested, turned their attention to launching their 4G network, albeit, the better part of 2 years after Telstra had launched theirs. To customers, 4G means great network data speeds. Behind the scenes, in the elements of the network that customers tend not to care about, some important work has been done. Vodafone have not just ‘done’ the wireless network. They have completely upgraded the back haul. That means they have created capacity for the long term, not just to address the short term problem that they faced. Vodafone’s network improvements have enabled some fantastic services. Vodafone Australia are the first network in Australia to offer High Definition Voice. To users ( in the extremely limited circumstances they can experience it at the moment – where one 4G enabled Vodafone customer is calling another 4G enabled Vodafone customer ) it means clearer sound, less background noise and, ultimately, a signal which sounds much more like the person they’d hear from in real life. Independent research conducted in Australia‘s major cities and across Vodafone’s 0.5 million Km square network shows that their coverage in cities has really improved. If that’s not enough, Vodafone have started to use marketing to promote the Vodafone Network Guarantee. To a degree, this is nonsense. Standard Consumer Law in Australia protects your rights. If you buy a service ( like a phone service ) and it doesn’t work, then of course you can take it back ! In reality, any of the networks would do that for you. Optus has a similar programme although they don’t proactively market it. Telstra will accept returns if you have consistently bad coverage. They all have to ! Actually, all of the major phone companies offer a network guarantee. Vodafone’s is called out to reassure buyers their network has improved. However, the Vodafone Network Guarantee gives customers peace of mind to try Vodafone’s claims of improvement. And when they do, they find it works. 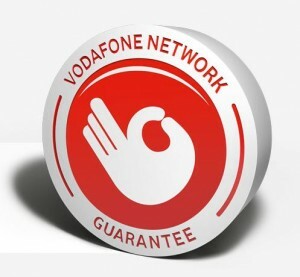 This is so important to the buying process that we have written a separate article on Vodafone’s Network Guarantee – Should You Trust It ? This might seem like an article which is heavily weighted towards networks other than Telstra. That’s not the case. I began with a list of the things to think about when you’re considering Vodafone tor Telstra because, for too many, Telstra is a default choice now. In Mid July 2013, Telstra covered 66% of the population with 4G services. Now, they reach 99% of the Australian population . The already have more than 7.7 million 4G enabled services. That is more than half of all Australia’s 4G customers with one provider. Telstra Thanks. Unlike Vodafone, Telstra have a customer loyalty program. Telstra ‘Thanks’ will give customers access to music first, discounted movie tickets and some other nice to have rewards. You probably shouldn’t make the decision on which network to go with, based on this but it’s a consideration. Unfortunately, Telstra are just so expensive that, unless you live deep in the bush, it is not worth paying the extra. Comparing Vodafone and Telstra is a common activity in Australia. The research shows that people hate Vodafone for coverage and Telstra for their pricing. Luckily, you have far more options than ever before as to how you go about this. Buying a SIM and adding your own plan can often be the smartest way to solve your problem. With a little bit of foresight, you can avoid paying the extra that either Vodafone or Telstra try to chagre you for extras you may not need in their price plans. Shop around, and you can get the best of both worlds. Access to the Telstra network and pricing which is better than Vodafone’s.